It definitely pays being a long time loyal paying customer. 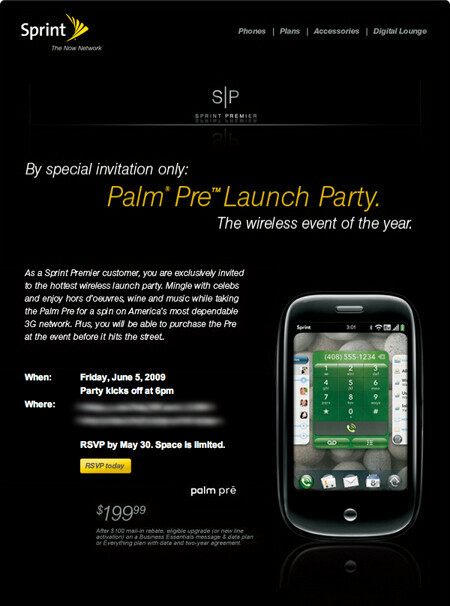 In the case of Sprint Premier members, they are the first to get the first dibs on Palm's highly anticipated Palm Pre. Unlike other regular consumers, these cream of the crop customers are eligible to get their hands on a Pre this evening before it goes on sale nationwide tomorrow morning. So while you're busy at home reading this on your computer, some lucky Sprint Premier member is handing over their form of payment and leaving the event with a brand spanking new Pre. Then again, all the rest of us will probably need to get up at the crack of dawn and head to our favorite retailers to get ours. Either way, the Pre is finally here! I got mine today 30 minutes ago ill have my personal review here in a few hours or tommorrow so far the call quality is great and the screen is beautiful and the touchscreen works wonderful. Yeah I have to agree this phone is amazing. I've had it since this morning and its just great, the keyboard isn't as bad as people are making it sound to be. The phone is very responsive and smooth to operate. I recommend people who are curious about this phone to go and try one.